In the year it moved to the new premises, the Manchester Unity IOOF had 28,000 members, each paying a small subscription in exchange for sickness and funeral benefits. The decision to build new headquarters for the Manchester Unity IOOF had been made in an effort not only to market the MU Order, attract new members and create work for existing members but also as a bold gesture to reinvigorate a city shackled by economic depression. In announcing its new accommodation, the Order (till then known for its ‘co-operative thrift’) declared itself ‘undepressed by the Depression’ that had struck since it bought the site, adding that the new undertaking showed the clouds of financial gloom were already lifting. Melbourne’s iconic Manchester Unity Building represents a rare blend of art, science, culture and commerce. As a magnificent structure, a monument to human endeavour and a hub of personal interaction, it has a special place in the history and fortunes of Melbourne as well as the hearts of its people. Built in 1932 on the site of Stewart Dawson’s corner (plus the adjoining site), it was the new headquarters of the Manchester Unity Independent Order of Odd Fellows (IOOF), a non-profit friendly society with a strong sense of tradition and the noble motto ‘Friendship, Love and Truth’. 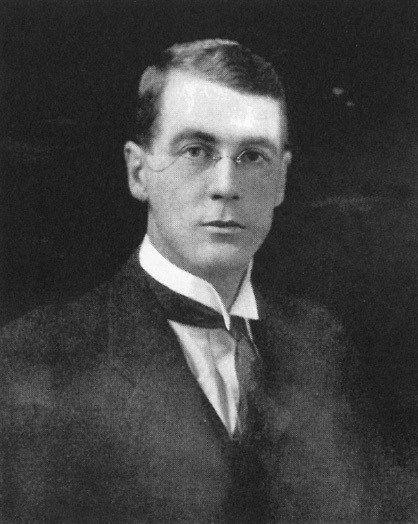 The prominent Melbourne architect Marcus Barlow was entrusted with the design and W E Cooper Pty Ltd contracted to build. 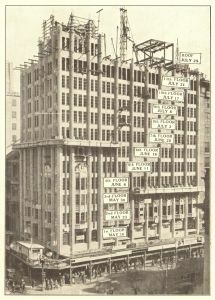 Barlow had drawn his inspiration from the 1927 Chicago Tribune Building in the United States. 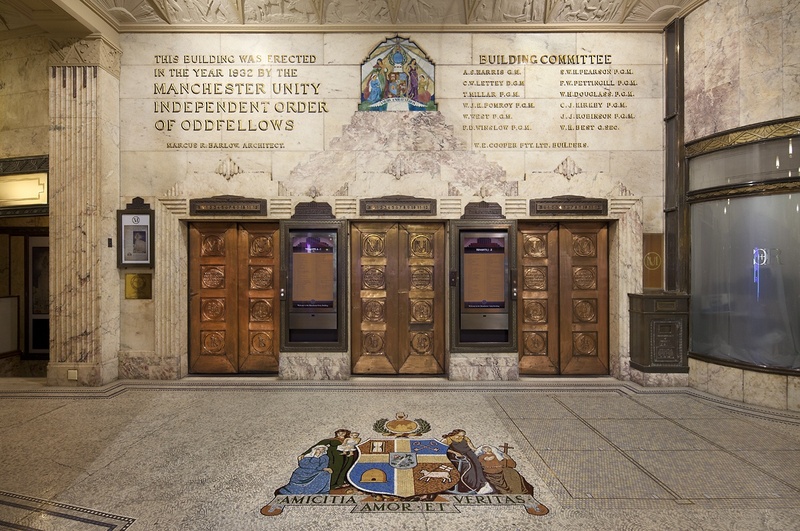 The site of the Manchester Unity Building was first bought in early land sales for the price of £35. In 1928, MU IOOF paid £335,000 for the site, making just one square foot worth more than the whole block had cost originally. 890 tons of steel girders from Newcastle steelworks form the structure, with each girder numbered in order. 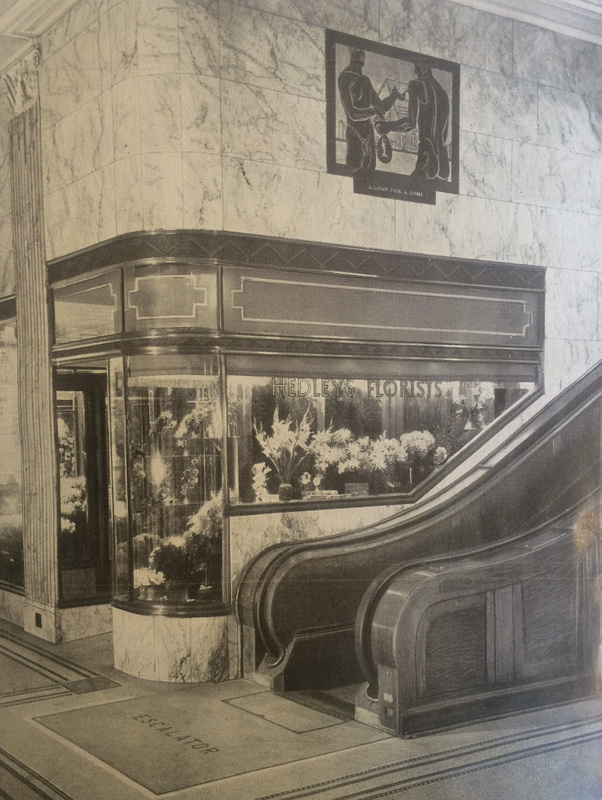 The first escalators in Melbourne were installed in the Manchester Unity Building, one providing access to the basement café and the other access to the first-floor mezzanine shops. 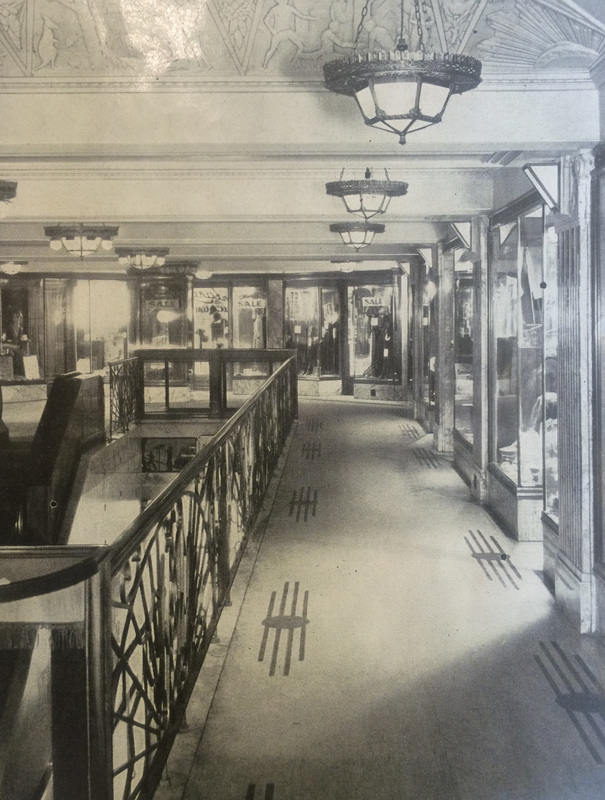 At ground and mezzanine levels there were 23 shops and 7 kiosks, and the basement contained a ‘beautifully decorated and furnished’ tearoom and café. A sub-basement housed secure vaults in which tenants could store documents, as well as large store rooms. Throughout the ground-floor arcade, bold designs sand-blasted on a series of black-marble tablets and friezes illustrated aspects of Australian life, the services of the MU Order, virtues and other themes. They were complimented at mezzanine level by plaster relief work, ‘as attractive as any art gallery’. Levels 2 to 10 provided offices and showrooms suitable for small enterprises. At fifth-floor level a group of stone figures on each corner frontage represented widows and orphans as well as the shield and motto of the Order, the latter being repeated in the mosaic-tiled floor inside the arcade. 2500 lamps were originally fitted throughout the building. Designed in the modern commercial Gothic style, the Manchester Unity Building was Melbourne’s tallest building when completed. The Melbourne Age described it as a ‘Wonder Building’, with ‘every modern convenience for tenants and their clients’. It was far ahead of its time, in terms of both aesthetic splendour and technological sophistication. It was built at a total cost of almost £600,000 for land and buildings, was of fireproof concrete-and-steel construction and was faced with 400 tons of mother-of-pearl coloured glazed terracotta (or faience) tiles. Large plate-glass windows on the first floor and ornamental bay windows on the second floor gave distinction to the base of the building, as did balconies on the third floor. More than 10,000 panes of glass made up some 900 windows on the upper floors, with levels 2 to 5 being double glazed. 125 tons of marble were obtained for walls, window sills and steps. 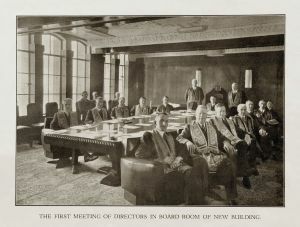 The Manchester Unity IOOF had its boardroom, Grand Secretary’s Office, general offices and superintendent’s living quarters on Level 11. 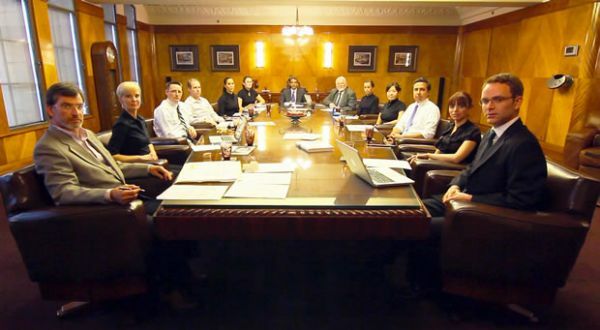 The boardroom, described by a Melbourne Herald columnist as ‘the finest office in the Southern Hemisphere’, was fitted out with a custom-built boardroom table and matching chairs. 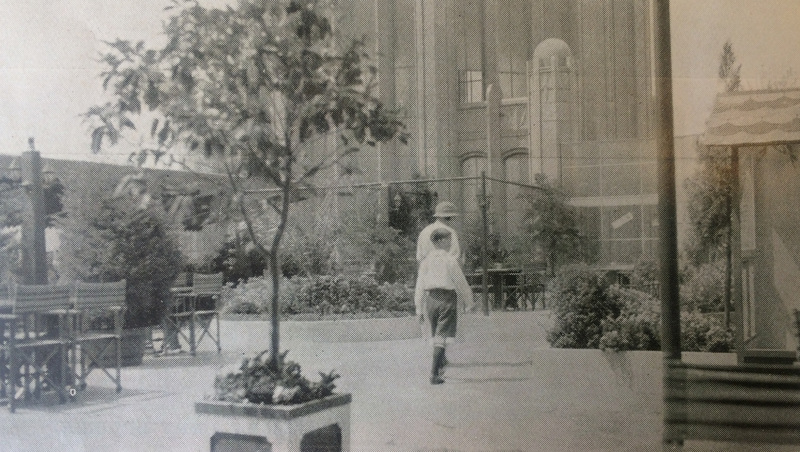 On Level 12 there was a rooftop garden café with mosaic floor as well as ‘graceful palms, Japanese maples, beautiful flower beds, a fountain and pond’. The crowning glory of the building was its ornamental turreted tower (complete with flagpole), which rose 24 metres above the roof – more than half the 40 metre height of the main building – and was floodlit on Friday and Saturday nights. Three passenger lifts accessed the twelve floors at an unprecedented speed, and all floors were serviced by a goods lift, a mail chute, and a garbage chute feeding into a basement incinerator. An air humidifier ‘washed the air of all impurities and then forced it through ducts communicating with every room’. In summer the air was cooled by a huge water tank that stayed cold below ground level and on very hot days was further cooled by several tons of ice. In winter the air was heated by oil-fuelled boilers. A diesel-powered engine in the sub-basement – the ‘first constructed wholly in the Commonwealth’ – could supply electricity in case of a power failure. 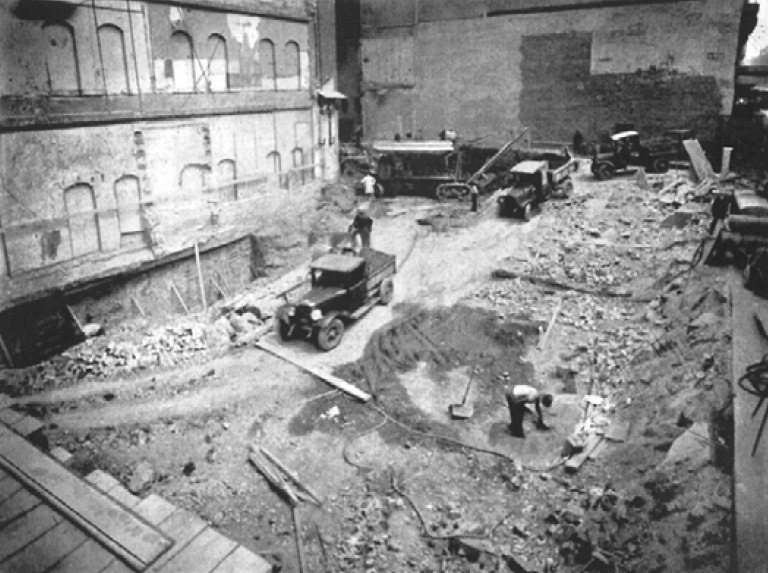 Excavation of the site was begun in late 1931 before demolition of the pre-existing building was complete on 1 January 1932. By 9 May the sub-basement, basement and ground floor were ready for the shopfitters and other trades to complete in detail, and the remaining eleven floors and the rooftop were constructed at the rate of one floor per week. Melburnians took an active interest in the construction, travelling ‘to town’ to witness its progress. 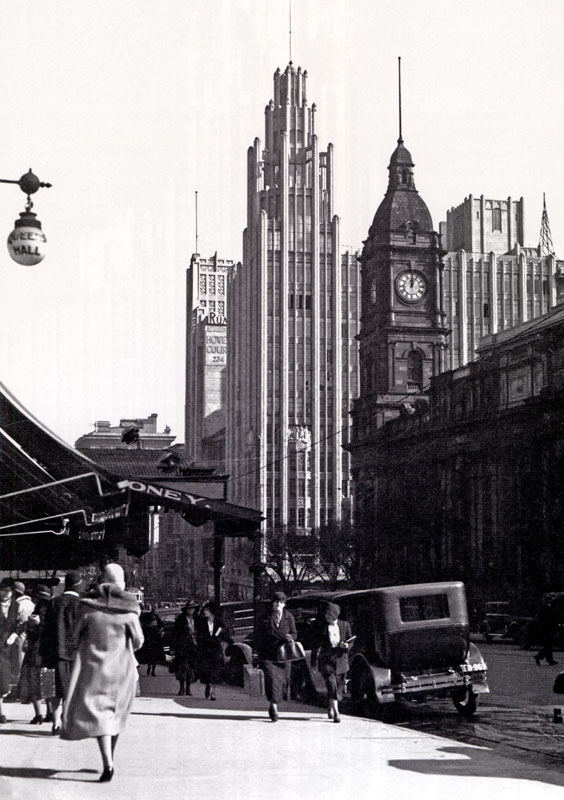 Fanfares filled the Swanston–Collins streets corner as a crowd gathered on 1 September 1932 to hear politicians and other dignitaries praise the workers on the opening of the ground and first floors for business. 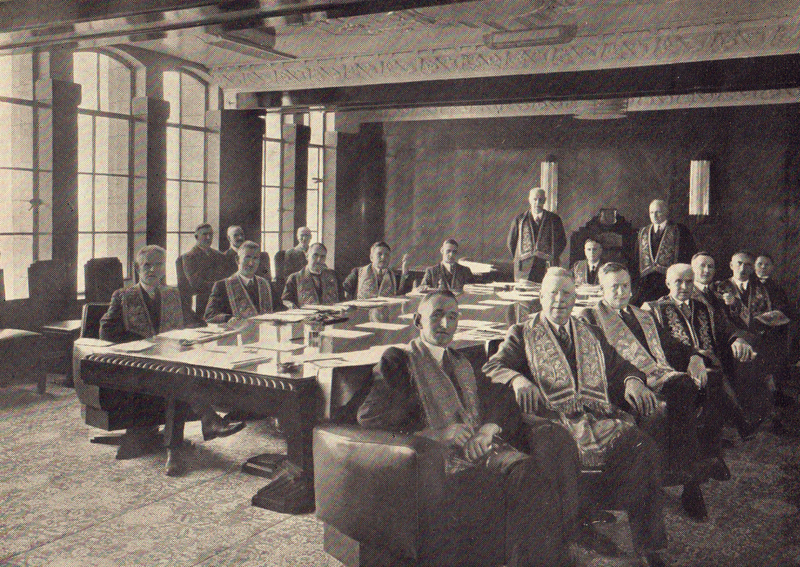 In front of 100 invited guests, who rode the escalator for the first time, the Lord Mayor of Melbourne, Councillor H Gengoult Smith, who pronounced the new building not only ‘a lasting monument to Australian courage, Australian industry and Australian science, art and labour’ but also a lesson in thrift. 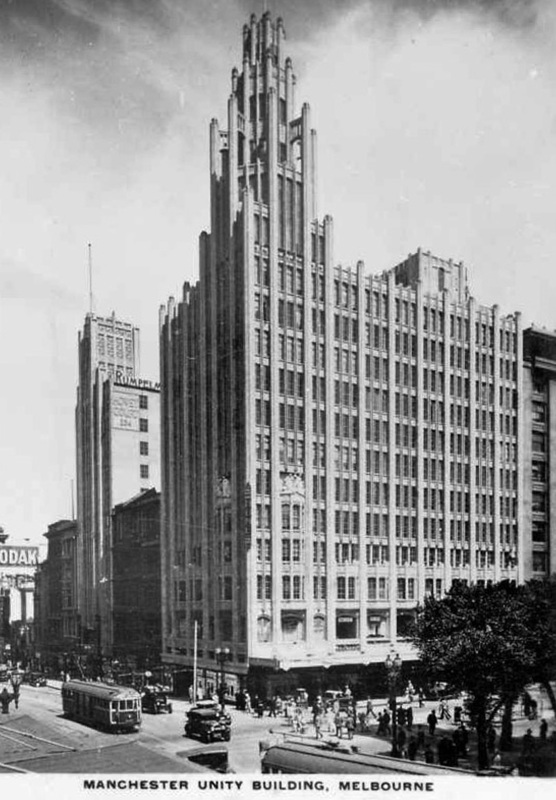 By the time the completed building was handed over on 26 November 1932, it had set records for efficiency of construction that have never been broken. In 2003, refurbishment of Level 1 alone spanned the same eight calendar months as the original construction of the entire building structure. Unlike its twenty-first century restoration, the original project came in £50,000 within budget. ‘Standardised and organised methods’ were employed to speed the transition from non-productive land to income-producing investment. Only 5 per cent of the material in the building was imported, with all else sourced locally. Engaged on the building’s construction were twice the normal number of building workers, who worked eight-hour shifts around the clock. A strict work schedule was incorporated in the contract, with progress payments made only when milestones were met and provision for heavy penalties (£85 a day) if the work was not completed on time. One newspaper of the day noted that it was ‘put together as a clock is put together’ and praised the project’s ‘economy and benefits of haste’. Demolition of the existing buildings on the site had begun on the stroke of midnight on New Year’s Eve 1931 and excavation was complete within about a month. Former Victorian Premier Ted Baillieu who was once an architect, nominated the Manchester Unity Building as his all-time favourite building – ‘In its time, a soaring monument to aspiration and ambition’. The building height is 64 metres, including the tower. Prominent patrons of Manchester Unity businesses have included former governor-general Sir Paul Hasluck, former lord mayor of Melbourne Ron Walker, former prime ministers Harold Holt and Malcolm Fraser, the Baillieu family and entertainer Barry Humphries. The victim of the infamous Pyjama Girl case, Linda Agostini, worked as a hairdresser on Level 8 of the building. 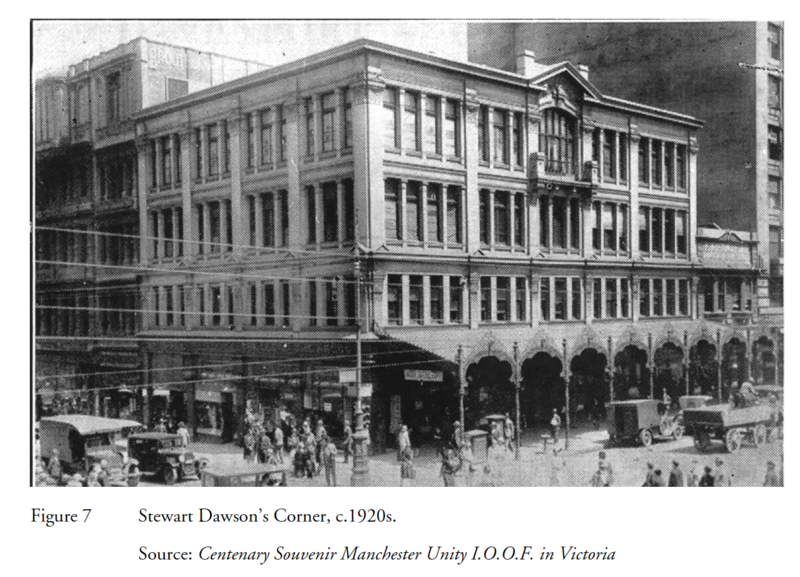 Historically Melbourne has always had two favourite meeting places for travellers and commuters: under the clocks at Flinders Street Station, and at Stewart Dawson’s Corner, the eventual location of Manchester Unity Building. While the station has always represented the way people came to town, Dawson’s Corner/the Manchester Unity Building has been their reason for coming. Inevitably for a place of so much human activity, there has also been a flamboyant aspect and a dark side to the life of the building. Stories exist of flashers, conmen and the occasional suicide or suicide attempt. Attracting a blaze of publicity was the 1935 disappearance of a young hairdresser who worked on the eighth floor. Found murdered in Albury in what became the notorious ‘Pyjama Girl’ case, she was eventually identified as Linda Agostini, but only after her body had lain preserved in formalin for more than ten years. 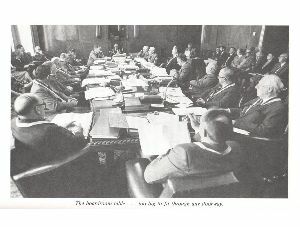 The boardroom table, measuring 19 feet 6 inches (almost 6 metres) by 6 feet (1.8 metres) at its widest point, was crafted out of Queensland maple cross-banded with rosewood. It is topped with a single sheet of plate-glass that alone weighs some 330 kilograms. With no glazier equipped to manufacture it locally, the glass was produced overseas and delivered to Level 11 through the ceiling as it was too big to fit through any doorways or windows. The Liberman brothers paid an additional $6000 for the boardroom table when they bought the building in 1986. It has survived all of the building’s refurbishments. A Tour Makes the Perfect Gift! Purchase a Gift Voucher Here.